We’ll be offering shirts for sale for the next 10 days; after trying to find ways to add this to EventBrite orders, it just became too difficult. So we’re putting these for sale directly. We’ll need to sell about 30 to have enough quantity discount so that the sales add to the more funds to the Camp. These are high quality Adidas unisex shirts in blue with the 2015 ACC US logo white embroidered on the upper left chest area. 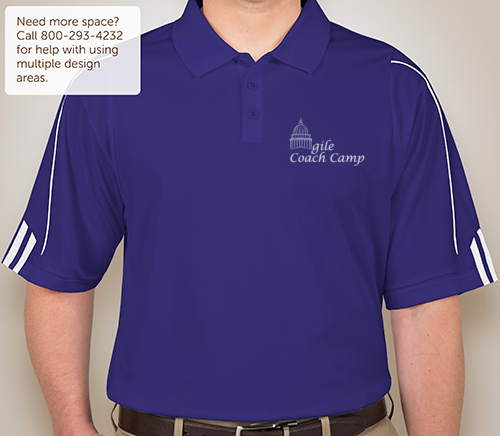 They will be available for pick-up at the Camp. If for any reason, you want us to mail them, we can do so, however please add an additional $10 for shipping and drop a note to us. Once you make payment – drop us a note (paul.m.boos at gmail dot com) and let us know your size. If we see a payment without a size, we’ll assume US large; we’ll be sending the order promptly at 5pm (1700) EDT on 15 July. We’re done – orders have been submitted to CustomInk!